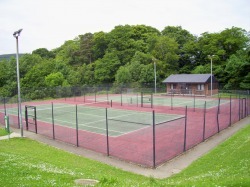 Following the success of the recent Doubles tournaments, Rostrevor tennis club are delighted to announce applications are being taken for a limited entry men and women’s singles tournament. The closing date for entries is Thursday 26th August and matches will commence over the bank holiday weekend, beginning on the afternoon of 28th August. Given the limited times and courts available, if the limited number of entries that can be accommodated is filled before 26th August, notification will go up on the website to announce that the competition is closed. So, avoid the rush and book early!